Humans have been making and using soaps for thousands of years. Although the purpose is not clear, clay cylinders dating from about 2800 B.C. in Mesopotamia contained a soapy substance, and writing on the cylinders confirms that fat and ashes were boiled together to create it. These soaps were most likely created by the Sumerians, although some accounts give credit to the Babylonians. 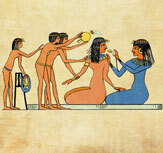 Documents from around 1550 BC record that ancient Egyptians used soaps composed of animal fats and vegetable oils to wash their bodies. Ancient Roman myth says soap was named and discovered when rain would wash fat and ash from animal sacrifices from atop Mount Sapo to the banks of the Tiber River. Women washing clothes in the Tiber were said to have observed that clothing washed in the mixture came out cleaner than those washed elsewhere. 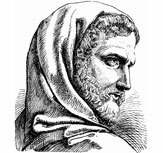 The first recorded use of sapo, the Latin word for soap, was in the Roman Pliny the Elder’s Historia Naturalis from 77 AD, which documents the manufacture of soap from tallow and ashes by Gaulish and Germanic men for the purpose of a hair wax. During the 4th and 5th centuries AD, the Roman Catholic Church discouraged Europeans from the use of soaps and bathing in general, linking them to the pagan ways of previous empires and other cultures. This decline in hygiene is thought to have heavily contributed to the spread of plague during the Black Death (1348-1350) and other diseases. 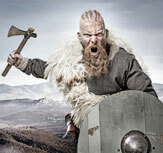 Vikings used very strong, lye-based soaps, not just for cleaning, but also to bleach their facial hair. Islamic cultures in medieval times encouraged the use of soaps, and the Syrian city of Aleppo was known for producing a high-quality soap popularized on the Silk Road trade route. While soap use was not widespread in Europe during the middle ages, toiletry soaps were made in small batches in Marseilles, Italy, and Spain, but were too expensive for most people. 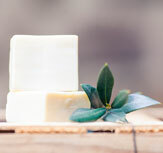 White soaps made from olive oil in Castile, Italy, became so coveted that all fine white olive oil soaps eventually were referred to as Castile Soap. Soap became more accessible when the Frenchman LeBlanc discovered a chemical process in 1791 that allowed for the cheaper production of soaps. Further discoveries about the soap making process in the 1800s would add to reduced costs and popularity, as would more knowledge about the links between health and hygiene. 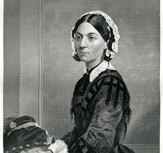 The rise in using soap for hygiene is often attributed to British soldiers in the Crimean War (1854-1857), when there was a notable decrease in deaths due to disease after Florence Nightingale brought hygienic practices into field hospitals. American soldiers further popularized soap use when they adopted these same practices during the U.S. Civil War (1861-1865). The first documentation of liquid soap came in 1865 when William Shepherd patented the product. However, popularity of liquid soap did not occur until B.J. Johnson began marketing his Palmolive soap in 1898. 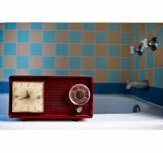 The company Procter & Gamble spent more than $400,000 (about $10 million current value) in advertisement of their soaps during the early 1900s, so much so that daytime drama radio serials became known as “Soap Operas” due to their profitable sponsorship of the soap manufacturers.